New Florida gambling bill could result in a bleak future for online poker with passing the sweepstakes bill. 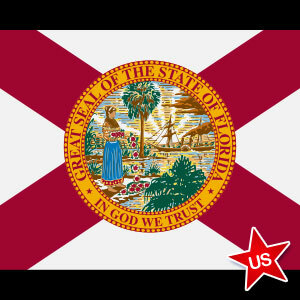 Online poker is set to take a beating in the state of Florida, with the Florida House recently passing a sweepstakes bill by 108 – 7. The objective of the bill was to stop internet cafes from across the state severing as avenues for illegal online gambling activities. The bill makes it illegal for an electronic device to accept currency, coins, codes, and account numbers that can be used to reward players with credits and prizes. Only electronic gaming devices located at racetracks, authorized casino properties, and tribal reservations will be exempt from the law. It is alleged that several internet cafes are involved in luring players with prizes when they purchase internet air time that are redeemable by entering a code. This gives them the opportunity to play machines that replicate slots and video poker machines and take home prizes. Online poker enthusiasts are apprehensive that the bill may apply to online poker and other forms of online gambling, thereby reducing the chances of legalizing them in the state in the near future. 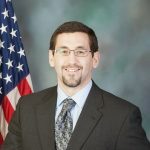 To ensure this does not happen, portions of the bill will need to be revoked or else it could harm the chances of online poker being legalized. One of the major reasons attributed to the passing of the bill is the recent scandal involving Lt. Gov. Jennifer Carroll and the Allied Veterans of the World Organization. The Lt. Gov. recently resigned after investigators questioned her business relationship with the organization that operates a chain of internet sweepstakes cafes and ran a quasi-gambling operation. The cafes are the focus of a nationwide investigation on racketeering and fraud. The organization is said to have passed on only $6 million of the $260 million it claims to have raised for charitable purposes. Ongoing investigations have led to the arrest of sixty people on a variety of charges which includes illegal gambling, fraud, racketeering, money laundering, and extortion, among others. The cafes have been called ‘convenience casinos’ and operate in a legal gray zone. Ms. Carroll served as a consultant for the Allied Veterans of the World Organization while she was a member of the Florida House in 2009 and 2010. 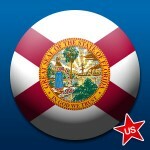 Florida Poker Laws 2019 - Is Online Poker Legal In Florida?